I will be making sure I do watch the Oscars this Sunday, and I will be making sure I do not take my bathroom break during the cinematography and production design awards, as some people do. For a film geek, I’m pretty late on getting to all the acclaimed movies this year–life has been rather active lately, and I regret that I haven’t been able to carve out more three-hour periods to go to the theater. My two favorite movies this year are a couple of the award-winners and Oscar-contenders. Which is nice, because I like movies I like to win awards. I saw Gravity on a mini-vacation to Illinois back in October, and I saw 12 Years a Slave just this afternoon. There are pretty striking similarities between these two films, aside from the fact that I am quite partial to them. Although, I do have to mention, that one difference between them is how many D’s I saw them in — I actually was very happy to pay for 3D with Gravity, which I can’t say for anything else I’ve seen in that many dimensions. If you still have time to see it in 3D on the big screen, I recommend it. The entire story is focused on and driven by a single protagonist. The protagonist is in a dangerous and threatening environment. The protagonist is struggling against this environment, and trying to escape it. The struggle is to survive. The protagonist makes the choice to not only survive, but to truly live. And this is the whole story. There’s not the typical plot line with some nice space for character development, rising action, climax, falling action, etc. It’s a human, in a specific situation, considering life, and then going for it. The story is just obstacles and challenges that keep barreling at the protagonist, with enough time in the open spaces to reflect on whether it’s worth enduring the struggle. And, on an artistic level, both films do a truly wonderful–and clearly intentional–job of creating the ultra-realistic space within which the struggle for life is made. 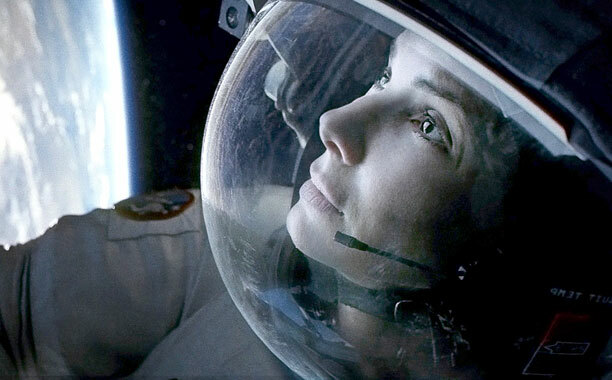 Gravity is earning its director and crew more praise than any film since Titanic for its technical feats in its creation of the chaos of space and machinery that the astronauts are surrounded by. If you’re from the American South, you’ll recognize the feeling and sounds of the thick, humid, sultry summers of the Louisiana forests and plantations which form the world of 12 Years a Slave. Every touch of this movie seems utterly realistic. In one, this story is told from afar, looking down at earth. The astronaut in Gravity fights to survive being stranded in space long enough to find a way back home to earth, to continue the life she left off, which–we discover–was filled with terrible emotional pain. The question before her is whether life is even worth pursuing anymore, and in her situation, to choose life is to return to the earth. Her journey is spatial. Her perspective out there above the atmosphere allows her to consider from a visual stance the entire earth below her, as it represents the entirety of what life there brings. It is a matter of gravity, of being drawn from one place into another, into life again. In the other, this story is told up close, right in the middle of the dangerous, unpredictable experience of life on earth. 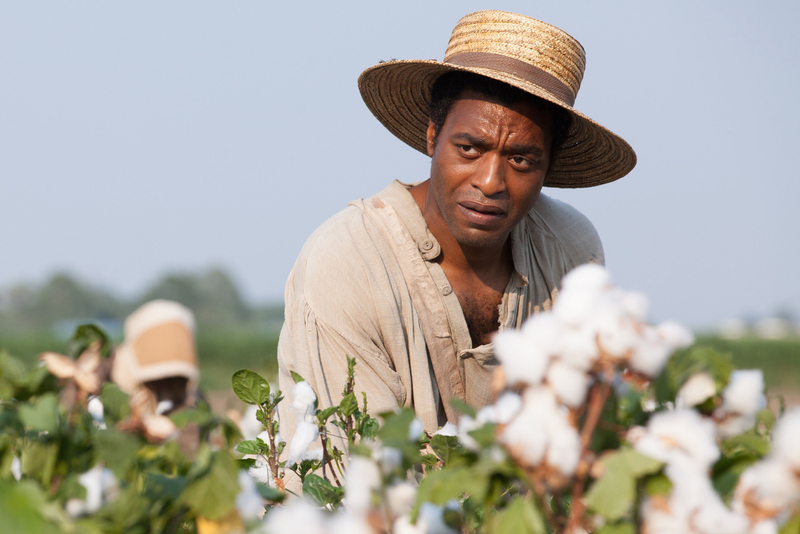 The freeman-turned-slave in 12 Years a Slave directly faces the struggles that make life itself a question. His dilemma is whether it is worth going on, and endure life itself. His journey is temporal. His perspective is a matter of sequence, of the past he misses, the present which is almost too horrible to bear, and the future which hopefully holds for him the kind of life which was taken from him. It is a matter of years, of getting through life itself. While the specific settings and conflicts of these films focus our attention on some particular details, the scope of their meaning is as big as it gets, and the question they propose is more relevant than any other. Whether it’s in the present time in a space that lies outside the reach of most of us, or in the distant past in a situation that is unthinkable to so many of us, the question of returning to life or just simply enduring it is one we answer daily–whether we recognize it, or not. God grant us the gift of seeing its value, and choosing to pursue it. ← The incarnation should strike us as a little bit crazy. Haven’t seen either one of these but I’ll make sure to now. Thanks for your thoughts on them.